In my very early career I worked as a sales and marketing manager in the world of Fast Moving Consumer Goods. I worked for a fantastic family-owned multinational corporation called Mars. We owned some of the world’s best-known brands – Mars, Snickers, Twix, Maltesers, Pedigree Chum, Whiskas, Dolmio, Uncle Ben’s. The Dublin office was a sales and marketing engine based in Dublin. Our day to day language of business revolved around concepts such as availability, in-store display, merchandising, category management, emotional engagement, in-store theatre, point-of-sale displays, impulse purchasing, till displays, in-store theatre, promotional cycles. Crucially we talked a lot about targetting and tracking. Driving sales in retail is both an art and a science, but it’s mainly a science. Fast forward to my life now which is entirely wrapped up in tourism and I rarely hear any of these terms and approaches. It’s a different industry and therefore a different language, I guess. 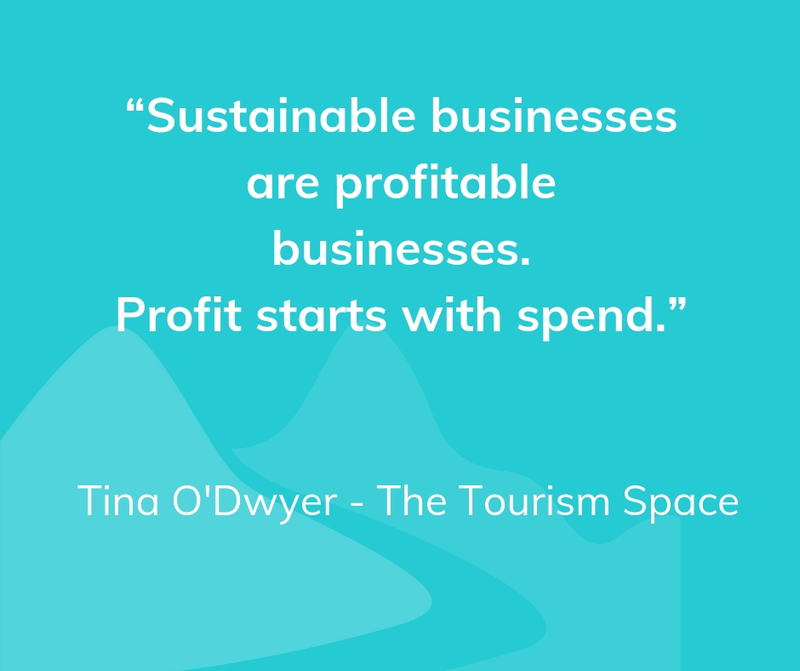 However, the two industries came together at a recent event organised by Ennis Chamber and Allied Irish Bank on the them of ‘Spending trends in retail, tourism and hospitality’. I was privileged to be the MC at this event. 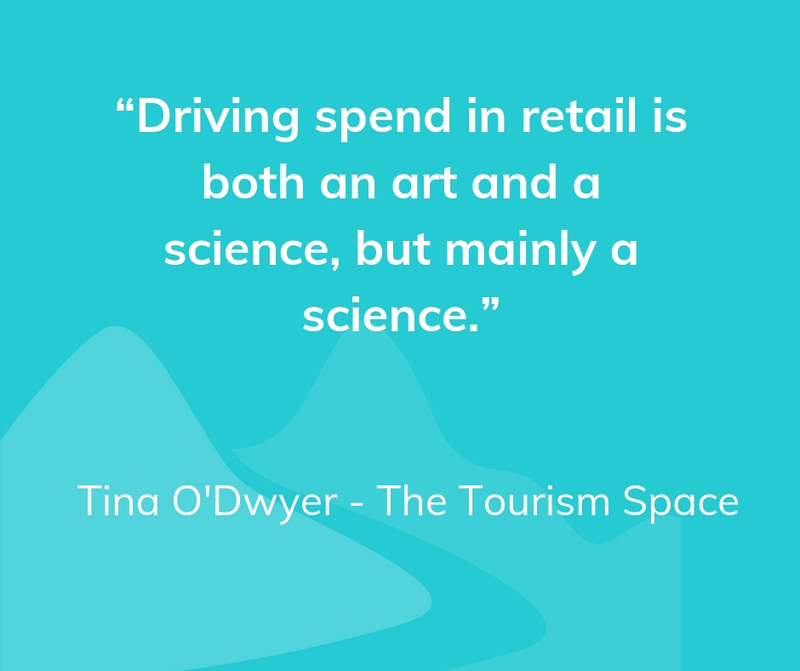 I found myself interspersing the language of retail with the language of tourism and came away thinking there’s enormous potential to apply the science of retail to the industry of tourism. There was a book-full of insights shared on the night but I’m going to share just 1 core concept from the evening: “What Creates Sales”. 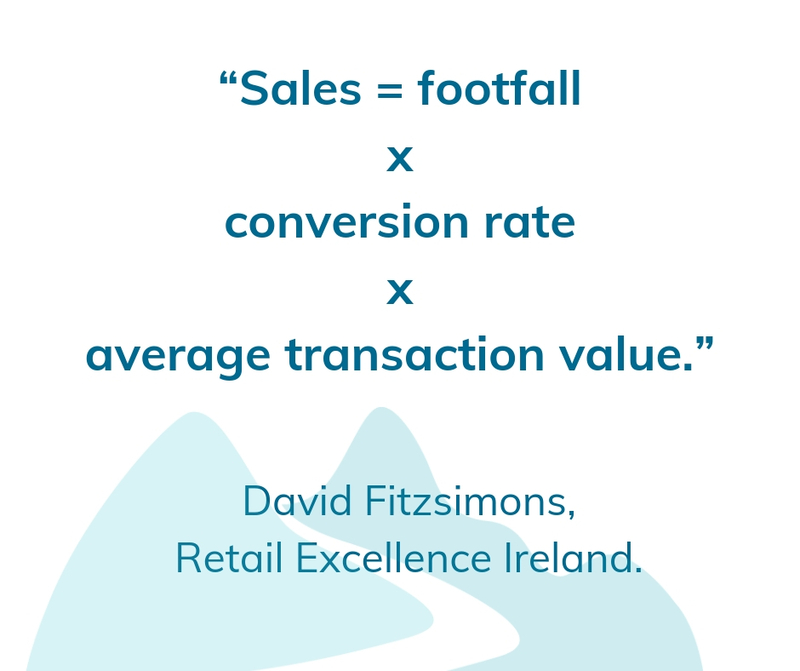 It’s obvious - footfall alone does not drive sales. In tourism, we can certainly be guilty oftentimes of counting just the numbers that arrive and not the follow-on conversion rate and average transaction value. What became obvious from that was that in order to elevate your sales, you must have strategies to not only influence footfall, but also strategies to influence conversion rate as well as strategies to influence the average transaction value. What’s interesting about retail is the need to distinguish it from sales and marketing. Sales and marketing are what get the visitor to notice you. Retail science, on the other hand, is about that visitor that is already engaged. They’ve come into your retail space, either in your store or online, and they’re already pre-disposed to buy. The concept that the retail experts shared with us on the night is that it’s not about selling, it’s about making it easy to buy. I notice that the retail experts are very comfortable talking about sales and spend, much more so than the tourism professionals are. However, while they speak about sales and spend, they don’t speak about selling. They speak about this idea of making it easy to buy. They’re very tuned in to how visitors are feeling at every point along the journey through the retail experience. They focus on the emotional triggers at a point in time and focus very precisely on building in ‘moments of magic’ throughout that retail journey. Jean McCabe is the owner of Willow Boutique in Ennis and Galway and also the online platform willow.ie shared a really interesting concept. She spoke about the idea of ‘experience per square foot’ as a driver of ‘spend per square foot.’ There’s something really worth pondering in that. I was very grateful to be part of that event and to hear insights like that, so much so that we at The Tourism Space would very much like to create a mini series on ‘Top Retail Tips for Tourism’. If there’s any particular areas you’d like to hear more about, please leave us a comment below and we’ll follow up on that.